Playa Arrocito is located just before Tangolunda Bay in the resort town of Huatulco. Only 300 foot long, this great little playa was named as a result of the sand that looks like small grains of rice. Its name comes from that feature. 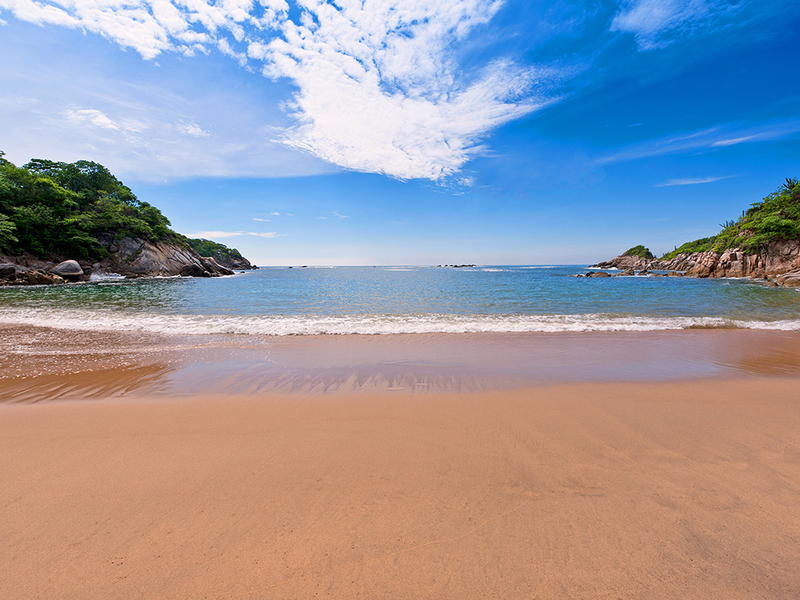 The sand is very different from other beaches of Huatulco, it is a little thicker with small shell fragments mixed with rocks. 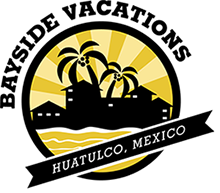 Although not a large beach, is a favorite in Huatulco and is surrounded by luxury hotels, villas, single family homes and condos with spectacular ocean views. The beach itself is surrounded by rock formations, acting as natural wave breaks. It is the perfect location for snorkeling or diving. Although there are no restaurants on the beach some families sell oysters on the half shell, shrimp cocktails, tacos and other Mexican fare under shaded palapas. Parking is located on the small hill, and to get to the beach, visitors must walk down a small staircase. Enjoy a day at Playa Arrocito during your stay along the Oaxaca coast and enjoy the beauty of this relaxing beach.